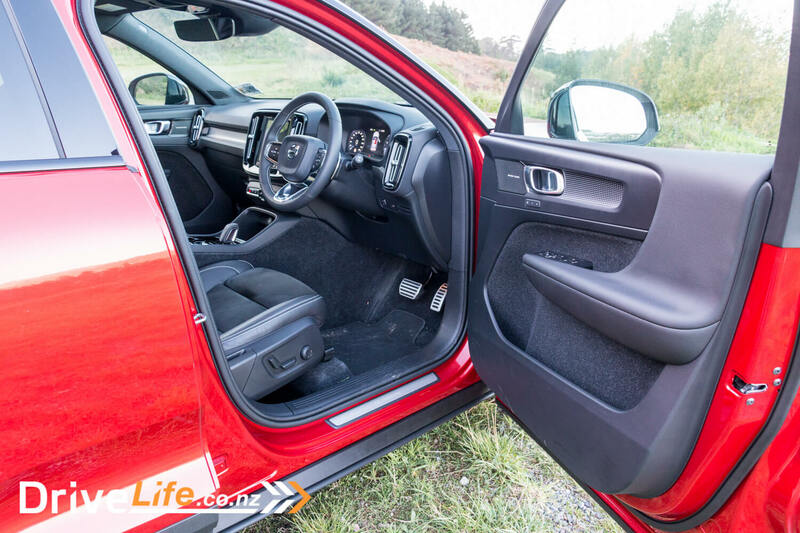 2018 Volvo XC40 T5 R-Design – Car Review – A different View of the compact SUV? I have to admit, until recently Volvo were kind of off my radar. They were cars that I knew had a reputation for being safe, and reliable, and maybe a bit boring. Then we drove the V90D Cross Country, and it was excellent, so good we made it our 2017 car of the year. Next came the S90 twin-engine, which added some cool technology to the already great design. The XC90 and XC60 also really impressed us. 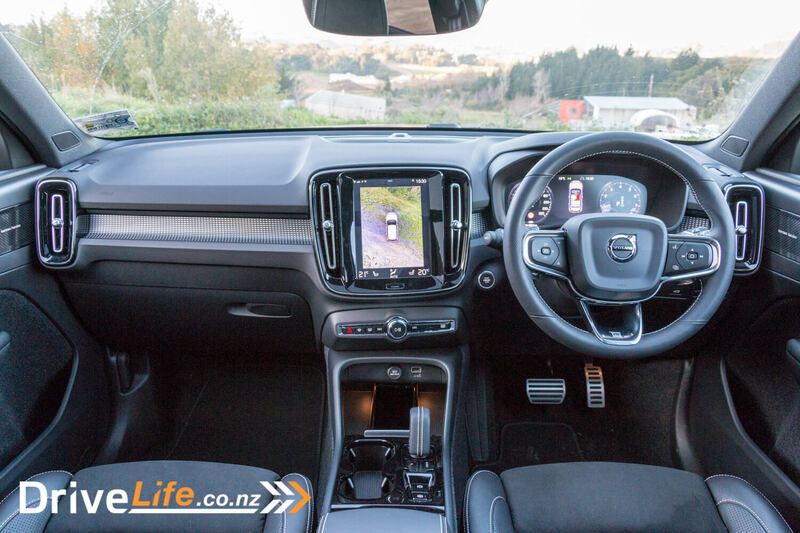 So when the new XC40 came up for review, I was excited to test it. Yep, excited about a Volvo. Would it live up to expectations? Could Volvo keep up this run of great cars? 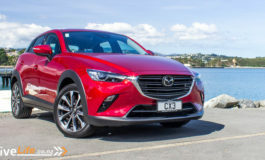 There are three trim levels available, which all include ABS, EBD, brake assist, blind spot information system, collision warning, cross traffic alert, cruise control, driver alert control, lane keeping aid, ISOFIX child seat mountings, oncoming lane mitigation, road sign information, Run-off Road Mitigation, side impact protection system, tyre pressure monitoring system, whiplash protection system. An impressive list to have as standard. The entry level spec is called Momentum at $59,900 with front-wheel drive and the T4 engine. This is a 2.0-litre turbocharged unit giving 140kW and 300Nm. 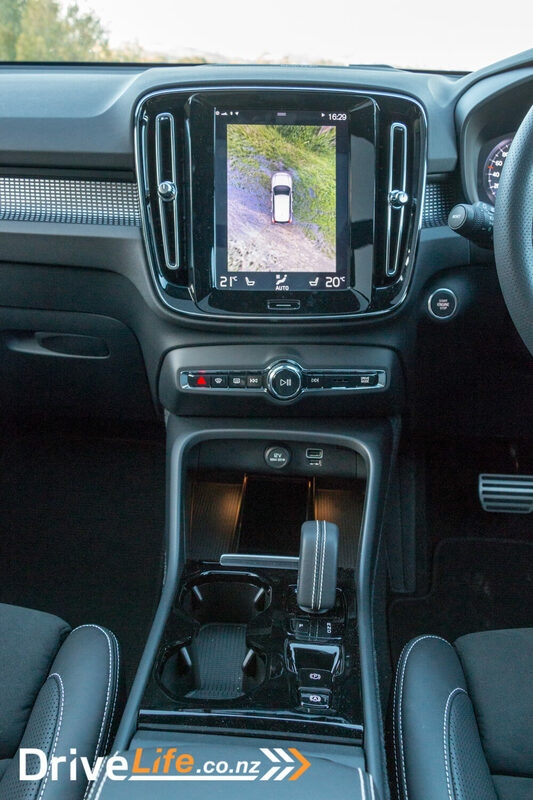 The spec includes 18” alloys, LED headlights, 12.3” digital dash, dual-zone climate, power driver’s seat with memory, 9” central touch screen, Apple Carplay and Android Auto, satnav, wireless phone charging. Next up is Inscription spec at $67,900, with the same T4 engine and all-wheel drive. This adds 19” alloys, dual tail pipes, LED active bending lights, crystal shift knob, high level interior illumination, keyless entry and handsfree power tailgate, leather seats and power passenger seat and some internal and external visual changes. Finally there’s the $72,900 R-Design tested here, with the T5 engine and all-wheel drive. The T5 is still a 2.0 litre turbo but makes an extra 42kW and 50Nm giving you 182kW/350Nm. This gets you from 0-100 in a very respectable 6.5 seconds. 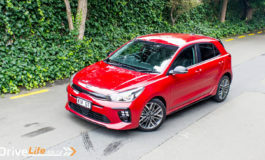 Other changes include gloss black exterior highlights, 20” alloys, auto high beam, sports chassis, manual cushion extension on the front seats, perforated leather seats and gearknob, perforated leather steering wheel with shifter paddles. The XC40 brochure lists thirteen exterior colours and four leather colours as well as options for either a black or white contrasting roof. Not all colours are available in all specs and some are cost options but there is a lot of choice there. Our car was Fusion Red with the (standard on the R-Design) gloss black roof. 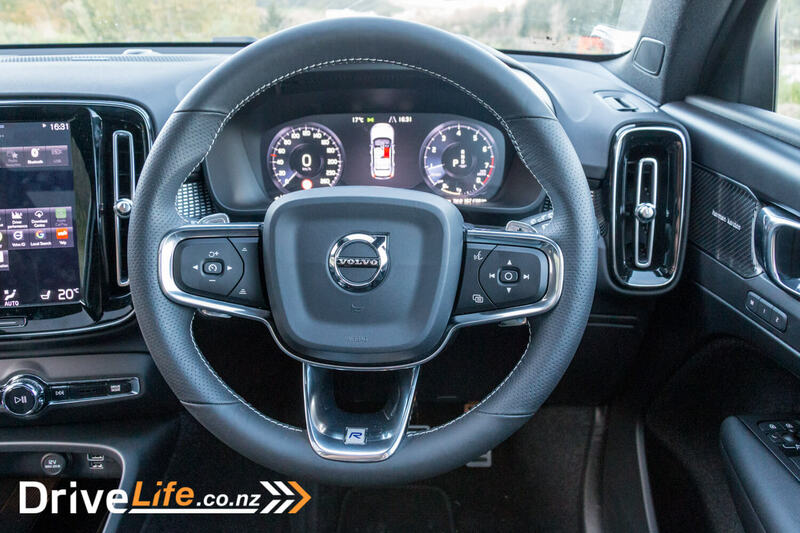 The first thing I said about the XC40 when I went to collect it was “That looks great! Better than the photos”, and it does look even better in real life. Maybe it’s those 20-inch alloys that set off the chunky design, or just the bright red paint on our review car. Whatever it is, Volvo have definitely got it right with this car. It’s clearly a member of the Volvo family with familiar design elements, but with a character of its own. Considering it’s billed as a compact SUV it is pretty big overall, but the proportions are spot on. It’s rare that I sit in a car and it just instantly feels right, but the XC40 gave me exactly that feeling. The door closed with a pleasing “thunk”, muting the sounds from outside, the seat was instantly comfortable, the wheel felt good in my hands. I knew I was going to like this car. 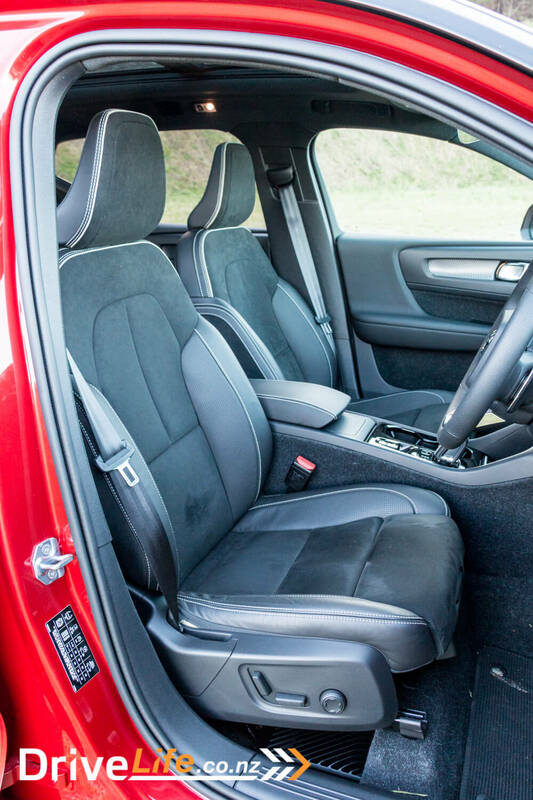 The interior is mostly black and grey, with a charcoal headliner, grey perforated leather wheel, grey seats and grey carpets. Contrasting stitching on the seats and some silver accents and trims help to break it up so it doesn’t look too dark, and the big windows and (optional) panoramic glass roof let in plenty of light. I would have loved it to have had the optional lava orange carpets. They look fantastic and really liven up the interior. The seats are very good indeed, with suede centres and leather bolsters. They’re just the right firmness to be comfortable yet supportive. And the rears are just as good. 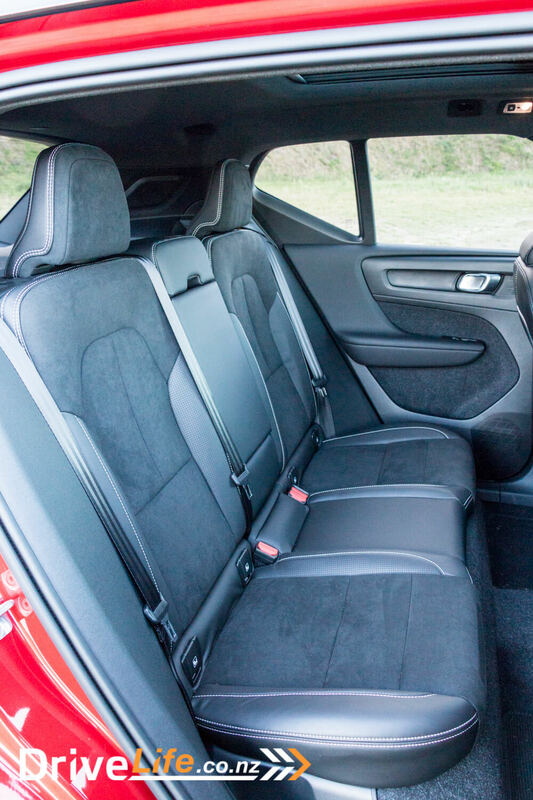 An adult probably wouldn’t want to spent a long journey in the centre seat, but the two sides are great, with good leg room for a car this size. The main dash cluster is a fully digital version of the traditional two-dial display with digitally rendered versions of a large analogue speedo and rev counter, and a general information display in the centre. It’s clear, easy to read and gives you all of the information you need in an easy-to-understand manner. One omission that surprised me was a heads-up display. At this price point I thought one would have been included. There are huge carpet-lined storage bins in the doors. 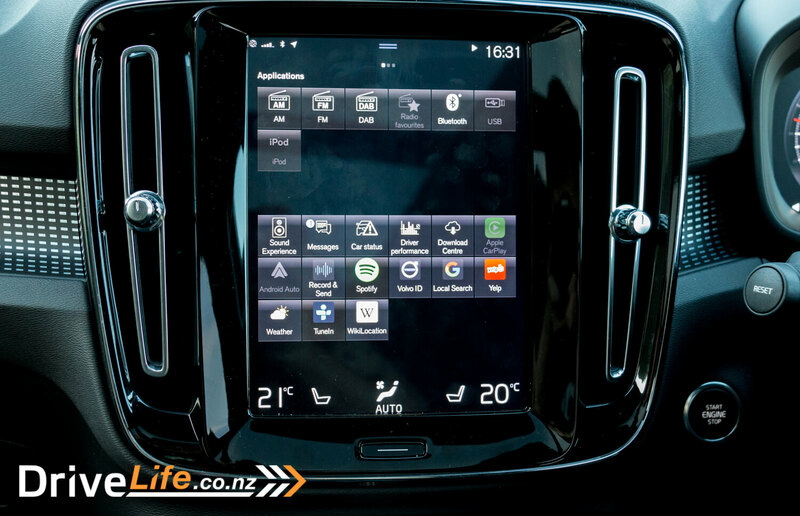 Volvo have developed something they call “air woofers” which are hidden in the dash, meaning they don’t need door speakers, leaving more room in the doors for storage. Don’t think that this means compromising on sound quality though. Our XC40 came with the optional Harman Kardon sound system, and it was excellent, with clear sound and good bass. The Bluetooth pairing process went smoothly and the stereo goes back to Bluetooth again when you get back into the car – something that a lot of cars don’t get right. 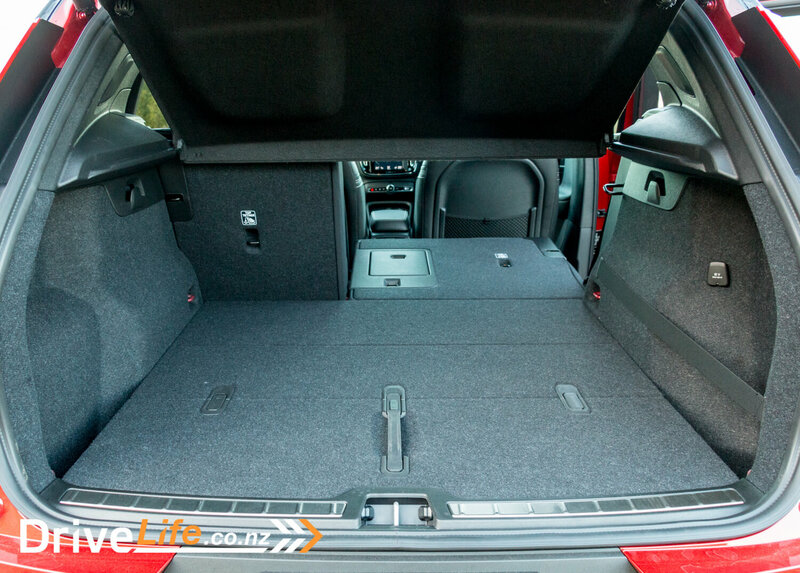 Rear passengers get the own air vents, power sockets, storage nets on the seat backs and similar large door bins to the front. 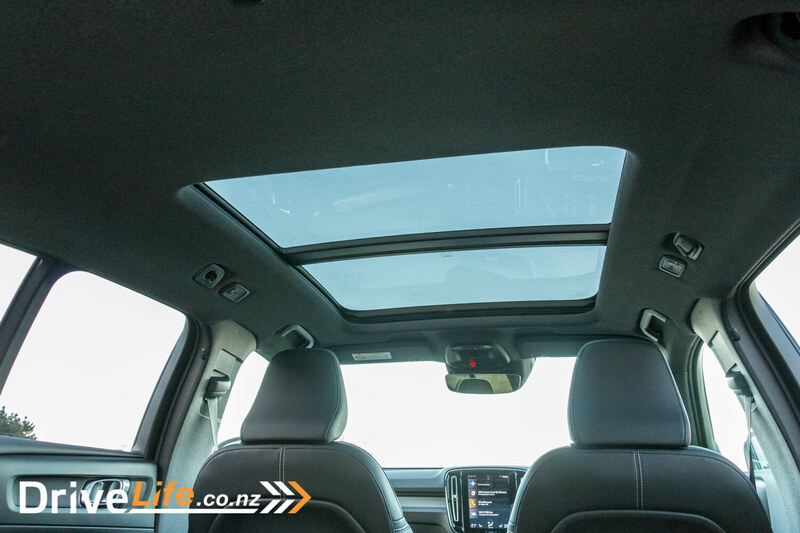 As mentioned there’s good leg room, and a great view thanks to large windows and that panoramic glass roof. 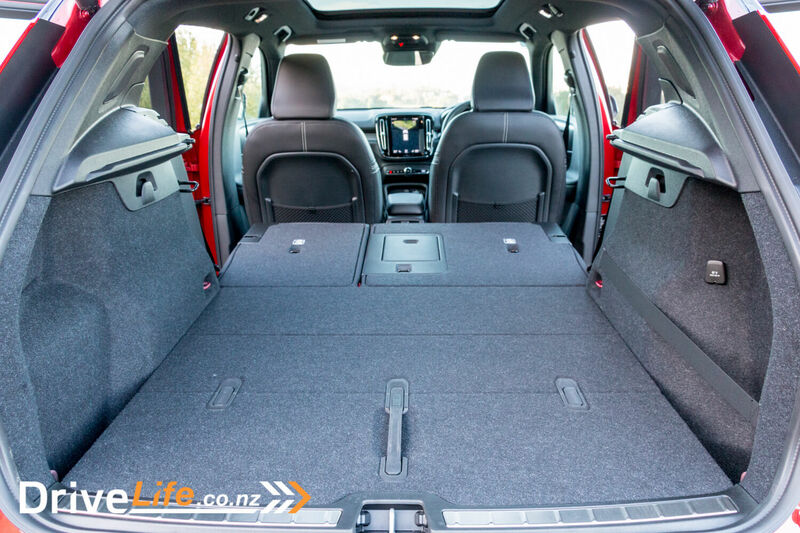 Popping the electric tailgate can be performed using the remote, or if your hands are full, a quick kick in and out under the centre of the rear bumper will also do the trick. 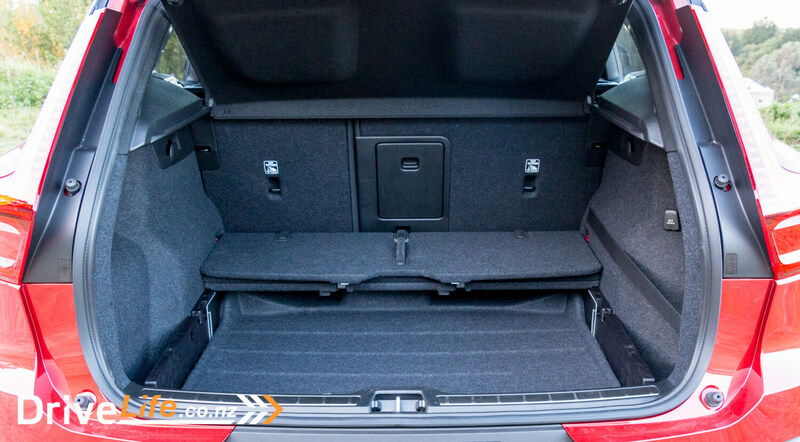 There’s a hard boot floor which can be folded back to reveal a second storage space underneath. With the floor in place and the seats folded it makes a completely flat load area. The seats are 60/40 split with a ski hatch in the centre if you have long pointy things to transport. 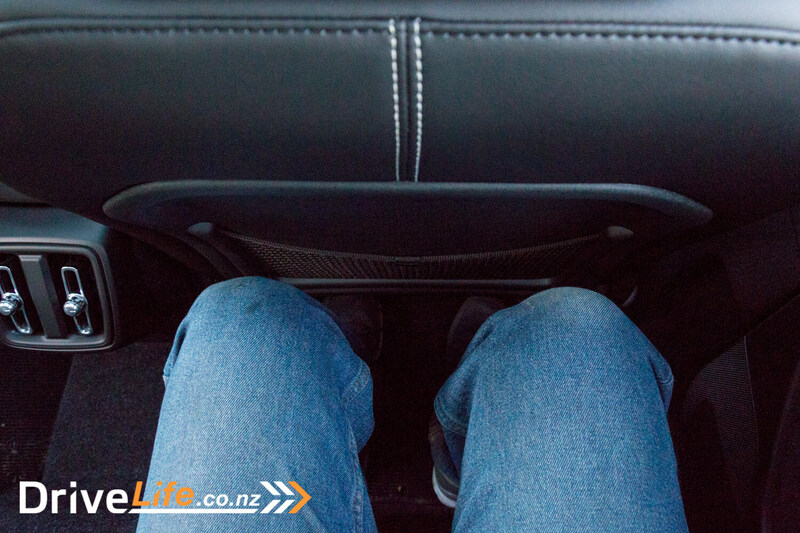 Our car had the optional electrically folding rear headrests which can be folded via a button on the main screen, or they drop automatically when the seat back lever is pulled. Apparently it’s to allow you a better view out of the rear if needed, but it is amusing to drop them and give your rear passengers a surprise. There are cool little touches all over the place, such as the little hook that flips out of the glovebox lid, great for your takeaway bag, or the Skoda-style ticket clip on the windscreen. 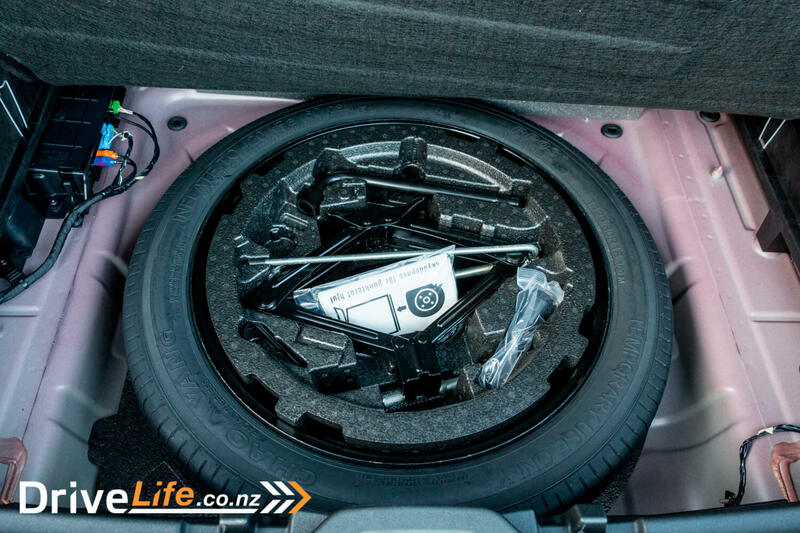 Even the boot floor has bag hooks on the top when it’s fixed in vertical position. 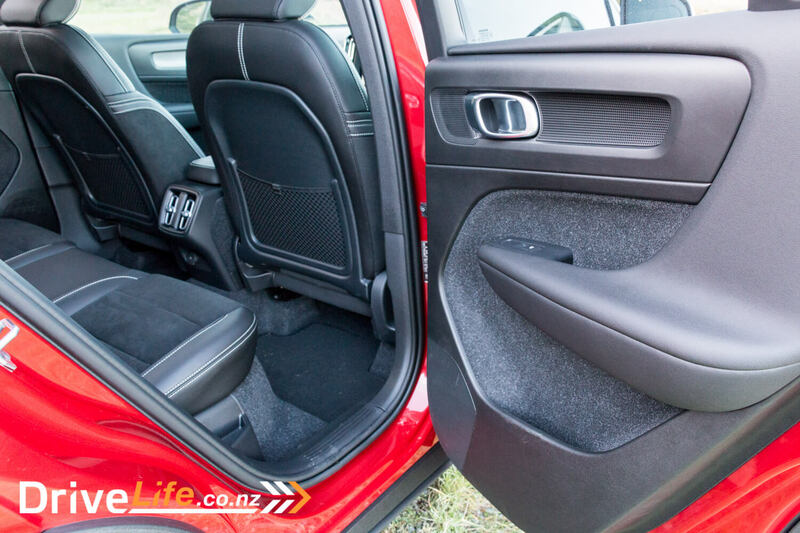 Rear door child locks can be activated by a button on the driver’s door which avoids that awkward moment when you lock your adult passengers in. 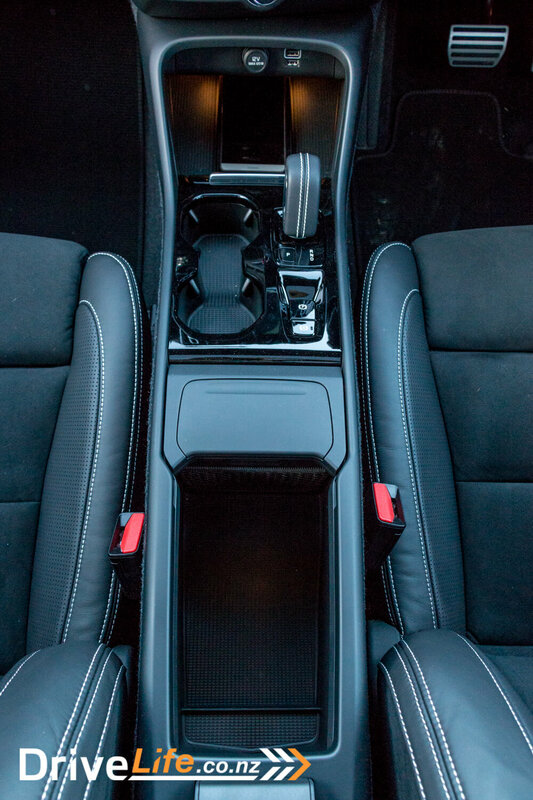 There’s under-seat storage and a couple of holders in the centre console that are just right for a phone. I love that so much thought has gone into little extras. These are the things that make a car special. The XC40 R-Design has keyless entry and start. Walking up to the car and touching the handle is all it takes to wake it up. As you sit in the seat, the displays are already lighting up with a subtle welcome animation. The engine idles very smoothly and quietly, but when you put your foot down it makes a muted growl with just a tiny hint of turbo whistle. In traffic the XC40 is well-mannered, quiet, and easy to live with. Once you’re moving you start to realise how important safety was in the design of this car. The safety systems are like a butler: subtle but insistent and always there in the background ready to act. Such as the blind spot warning lights in the mirrors, current speed limit always shown in the bottom of the speedo (which pulses if you go over the limit). If you are passing a school a children crossing symbol appears. Approach a speed camera and you are given a countdown in metres to its position. It’s not always perfect though, sometimes it read the signs incorrectly, and it didn’t see the speed limits on overhead gantries. When it did get it wrong the displayed limit was always lower than the actual limit so it wouldn’t have got me into trouble. The other thing that was a little over-sensitive was the collision detection warning, which once detected a parked car I was passing, flashed a warning and started to brake before realising its mistake and carrying on. The smart cruise control worked really well, always maintaining a good distance, with the lane keep assist even doing some of the steering. 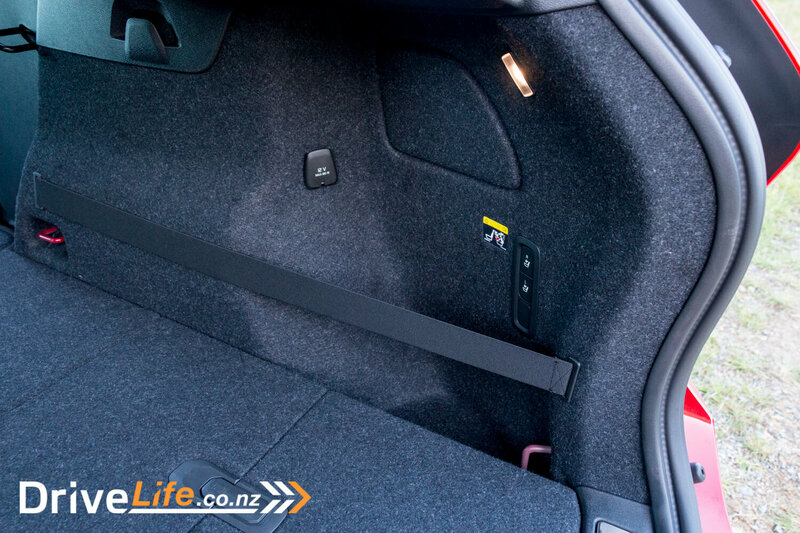 You have to keep a close eye on the lane assist though as New Zealand roads don’t always have lines clear enough for it to work, and it will turn off without warning. This system is far from autonomous driving but really takes the stress out of stop/start traffic. I found that it could be a bit jerky when coming to a complete stop. It stopped, put the electronic parking brake on and turned off the engine. A tap of the throttle or click of the resume button started the engine, disengaged the park brake and moved the car off again, but that wasn’t always the smoothest process. 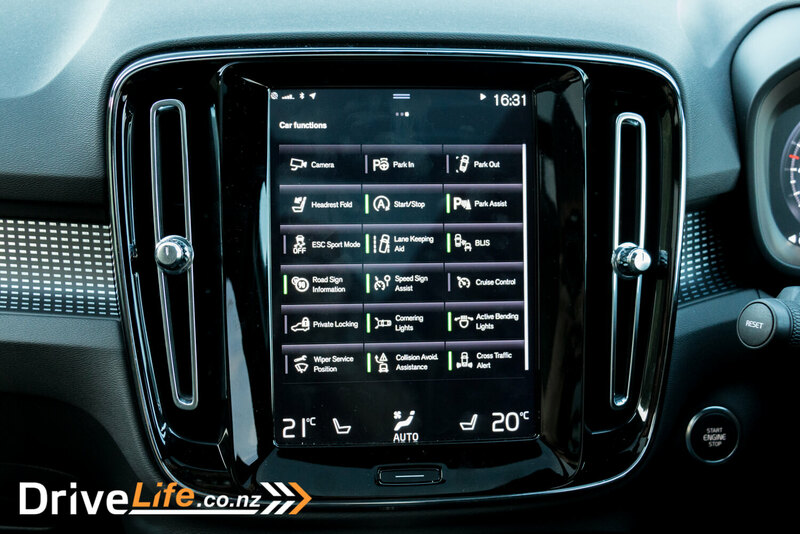 I really liked the way Volvo have used the digital speedo to subtly show the cruise settings. As well as showing the set speed in the centre display, it colours the outside of the speedo in blue up to the set speed and has a red mark at the set speed.It’s a good visual representation. Get the XC40 on a back road and despite being quite a tall car it handles really well. Turn-in is sharp and body roll is minimal and well-controlled. The steering feels good and gives you the confidence to make rapid progress. And it is quick. 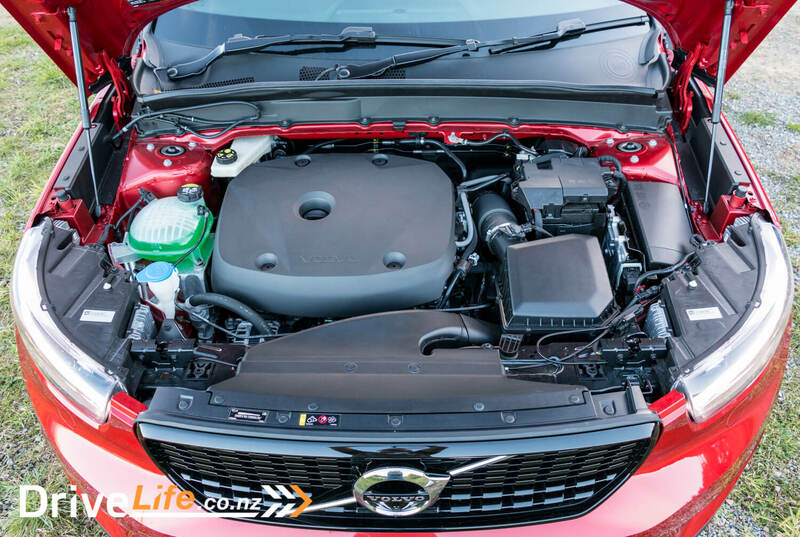 The 2.0-litre turbo 4-cylinder produces a healthy 182kW and 350Nm which gives the XC40 a 6.5 second 0-100 time. Not too shabby for an SUV. 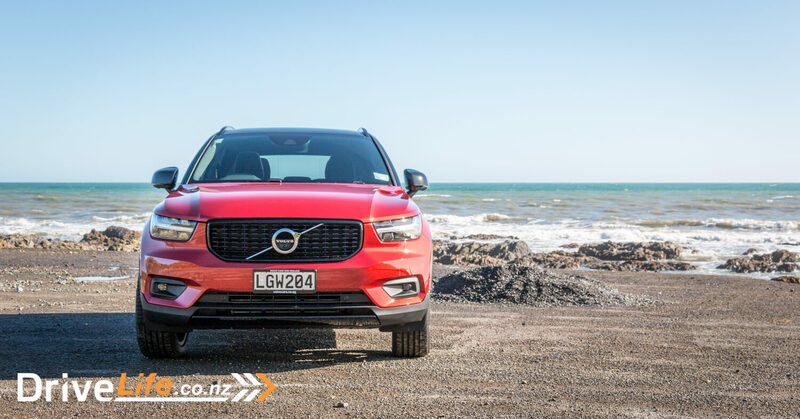 The XC40 really is a great all-rounder and would be an excellent family car. I could go on all day about the safety features, such as the 360-degree camera system combined with sensors all-round. Or the rear cross-traffic alert which can tell the difference between an approaching car, cyclist or pedestrian and adjust the warning distance to suit. Volvo continue to be safety pioneers. 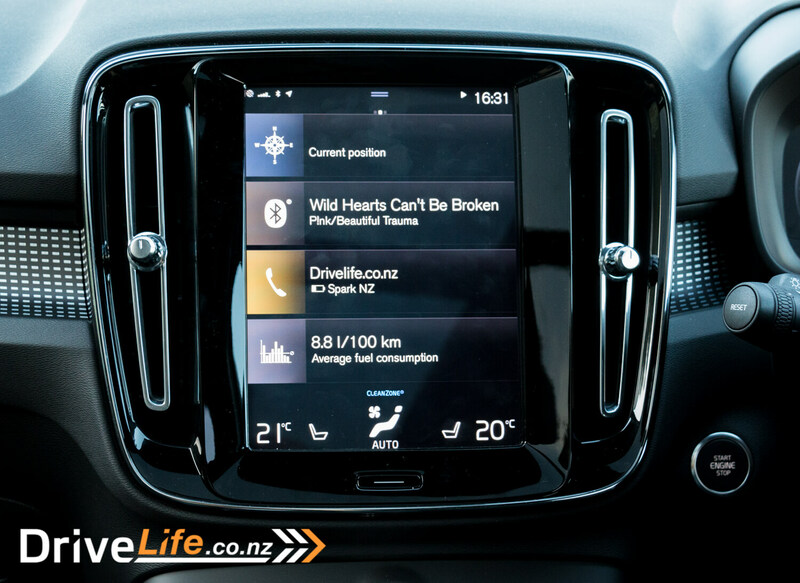 It seems at the moment that Volvo can do no wrong. 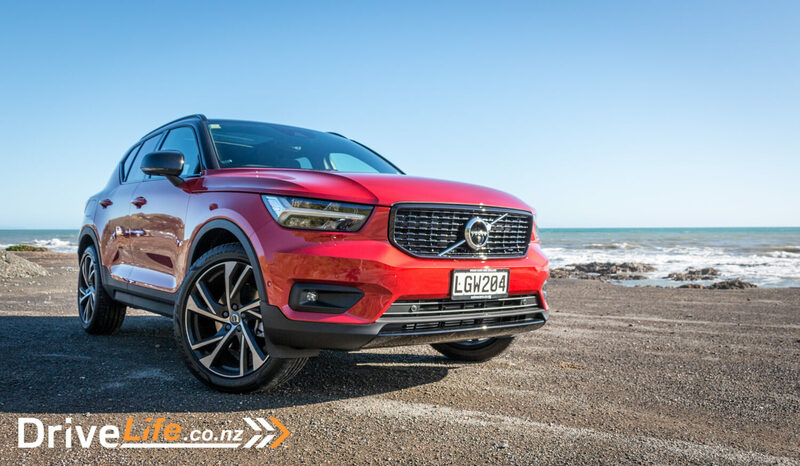 The XC40 is another great car and a strong contender in the compact SUV market. 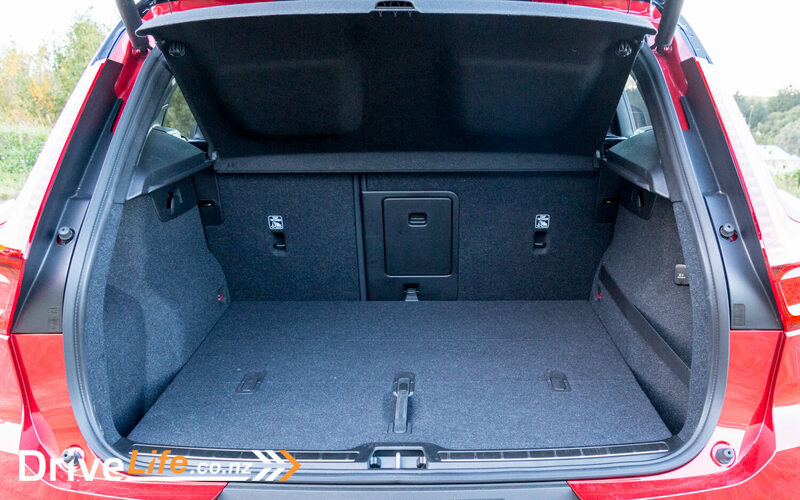 It’s comfortable, well-designed, and has some of the best safety features on the market. 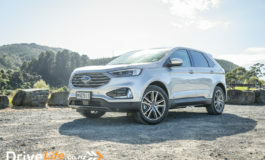 It’s good to drive, surprisingly quick, and has pretty much all of the space and creature comforts you’re likely to need. At first glance it looks expensive compared to some of the competition, but when you start to read up on the safety and technology features and realise how much there is under the skin, it looks like better and better value. This is a great car and I was sad to have to hand the keys back to Volvo. Next article 2018 BMW M140i - Car Review - Pocket Rocket?